The California Gold Rush first began in 1848 when James W. Marshall found gold flakes at Sutter's Mill, Coloma. From 1848 to 1855, an estimated 300,000 people ventured to California in search of gold. Almost 200 years later, prospectors continue to travel to the Golden State. Below we will review the laws and also the best places for gold panning in California. California gold mining is governed by a series of laws. In October of 2015, the state passed a bill to combat environmental damage caused by suction dredging. Under this bill, the use of a suction dredge requires a Clean Water Act Permit. Panning is nowhere near as regulated as suction dredging. Most rivers controlled by the Bureau of Land Management are open to the public and are approved for panning. Of course, panning on private property can land you in trouble. The Bureau of Land Management has a staggering 319,328 mining claims on record in California. There are 24,162 active claims, so inadvertently trespassing on one is a legitimate possibility. Consult the BLM website for advice on locating active mining claims before you settle on a spot. Also be sure to properly dispose of any waste you create while prospecting. If you won't do it for the good of the environment, then do it for the good of your wallet. Littering laws in California are strict and carry heavy fines. A first-time offense carries a $100 fine and eight hours of community service. For repeat offenders, the punishment is increased to 24 hours of community service and a $750 fine. There are commercial gold panning sites located throughout the state. These sites are primarily marketed towards out-of-towners and novice panners. They require no prospecting experience and make for a great day out, especially for families with young children. More serious prospectors probably won't have much interest in visiting commercial panning sites. Matelot Gulch Mining operates out of Columbia State Historic Park. The mining town of Columbia was established shortly after the discovery of gold in the area in 1850. Between this initial discovery and 1870, it produced more than $1 billion worth of gold. Matelot Gulch Mining recreates Columbia's glory days. Employees even dress in historic costumes and use old words and phrases. You'll have to pay an admission fee, but a ticket is good for the entire day and all gold panned at Matelot Gulch Mining is legitimate. Stagecoach tours of Columbia State Historic Park are also available and we recommend taking one. It will give you the chance to educate your kids and yourself on the history of Columbia before you pan. 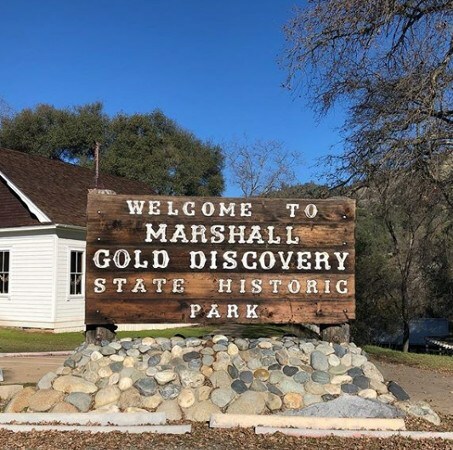 Marshall Gold Discovery State Historic Park encompasses much of what was once the town of Coloma. The park also includes Sutter's Mill, the very spot where James W. Marshall sparked the California Gold Rush. An on-site museum contains most of the equipment used by Coloma's earliest miners. Meanwhile, employees in historic costumes recreate life in the town. This is a great place for families as it offers a number of activities for young prospectors, such as gold panning lessons. These lessons are available for $6 per student and include the opportunity to pan for real gold. Marshall Gold Discovery State Historic Park also offers guided tours of the area. Tours cost $60 per group and include a stop at Sutter's Mill. Although Black Chasm Cavern was a popular spot among early California prospectors, it was largely forgotten about after the Gold Rush. It returned to popularity in the middle of the 20th century. Black Chasm Cavern has since become a favorite for those hoping to better understand the life of 19th-century prospectors. Tours of Black Chasm Cavern take about an hour. During a typical tour, you are given the opportunity to search for gold in paydirt which has guaranteed success. Coming here is a great way to learn about history and how to properly gold pan. The commercial panning sites examined above are a source of entertainment. Thus they are unlikely to be a source of any significant gold. Serious prospectors chasing a major find are going to have to prospect elsewhere. Below are some of the richest rivers in California. All have been approved by the Bureau of Land Management for independent recreational panning. Mining began at the Klamath River sometime in the 1850s. In the years that followed, numerous pieces of lode gold were extracted from its waters. It remains a popular site for prospectors to this day. Along with large amounts of placer gold, noteworthy nuggets can still be pulled from the river and its tributaries. 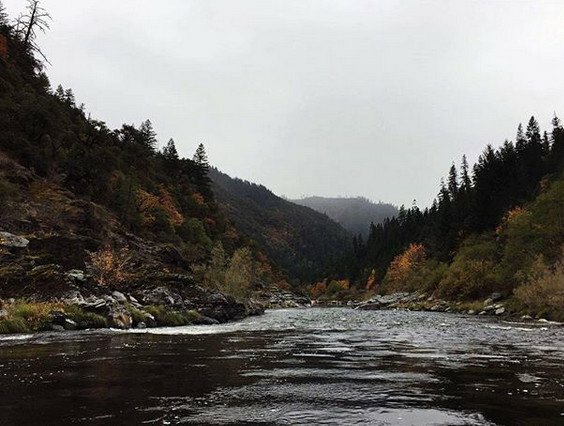 The Trinity River is one of the Klamath River's most promising gold-bearing tributaries. By the 1960s, more than one million ounces of gold had been discovered in its waters. Active mining claims are strewn throughout the Trinity River, which makes panning in the area a little complicated. In order to avoid trespassing on an active claim, many recreational prospectors choose to pan at Clear Creek instead. Clear Creek has less active mining claims than the Trinity River, although it's not far behind the Trinity River in terms of gold production. During its most popular period, 185,000 ounces of gold were extracted from Clear Creek. 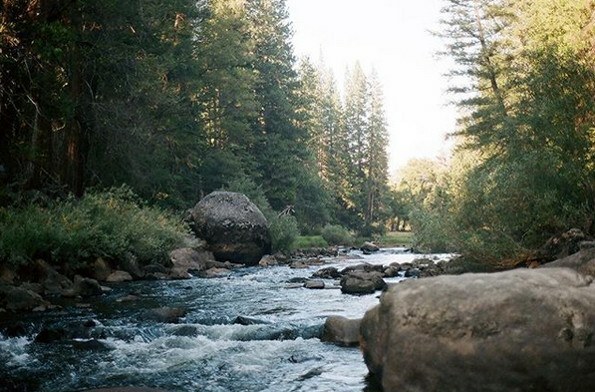 A tributary of the Feather River, the Yuba River is one of the California's richest bodies of water. Multiple mining towns sprung up along the river's shores during the gold rush, including Downieville. Since those days, prospectors have reported discovering large nuggets of gold throughout the Yuba River. Reports of lode gold in the Yuba River have slowed in recent decades, but it remains a frequent producer of placer gold. The American River is perhaps the most important gold-bearing river in California. The gold discovered at Sutter's Mill at the beginning of the California Gold Rush came from the American River. Its waters would prove to be an almost constant source of gold throughout the late 19th century. Active mining claims are plentiful across the American River. While this makes panning more challenging than in many other rivers, it doesn't make it impossible. The Bureau of Land Management will guide you towards claim-free portions of the river. Some prospectors prefer to simply pan elsewhere and avoid the hassle of contacting the BLM. While this is understandable, the American River's gold content can justify the extra effort. The Merced River runs through the center of the California Mother Lode. This makes it one of the richest rivers in one of the richest regions of the state. It was mined extensively throughout the Gold Rush and spawned the town of Snelling. Snelling miners are thought to have extracted about $17 million worth of gold from the Merced River. Despite having been heavily mined, the Merced River continues to produce placer and lode gold to this day. The area around Briceburg is one of the most reliable stretches of the Merced River. However, panning around the Briceburg area is heavily regulated and prospectors are limited to pans. Dredging is prohibited even with a Clean Water Act permit. For panning novices, there is the Merced River Recreation Area. Here, inexperienced prospectors will be able to participate in organized panning. The center even offers prospecting lessons. These lessons may cost you extra, but they are recommended. Even a one-hour lesson will help you develop the skills needed to pan independently. The California Gold Rush played an incalculable role in the state's development. In fact, California was able to achieve statehood because of the boom it received from the 300,000 prospectors who relocated there. So it's no surprise that gold continues to attract aspiring prospectors to California. With recreation sites and gold-bearing rivers throughout, the Golden State has something for prospectors of all levels. 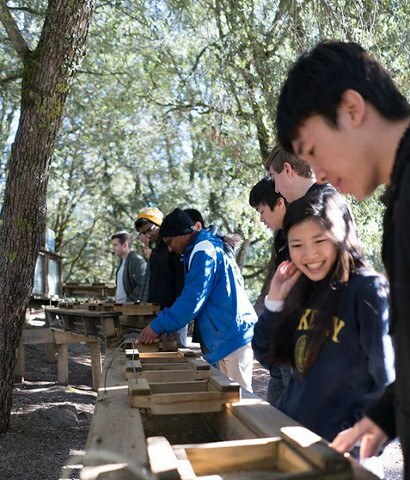 Whether you just want a memorable vacation activity or are serious about finding gold, we recommend panning in California. In addition, if you live in Northern California then a trip up to Oregon can make for another rewarding gold panning experience.